Following someone else’s plan might seem amazingly easy and a quick route to success, but it won’t really fetch you the desired happiness and self-satisfaction that your own plans can do! Many people out there make a mistake thinking that happiness and success are nearly similar and directly proportional to each other. However, in reality, it’s not the case! Hence, understanding the actual difference between being successful and being happy is essential for all. Success is great, but not at the cost of your happiness. Not always will success fetch you happiness, but if you are happy, then you will have better chances of being successful. In this 21st Century, when the world has become a stage for a competition, everyone is running a race not knowing exactly where to stop or what will the finishing line look like. 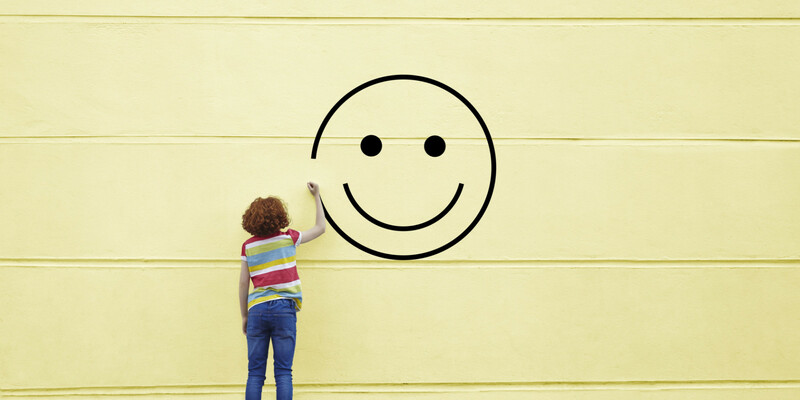 In most of the cases, happiness is related to achieving a goal or possessing a material object that’s tangible – hence, happiness comes with a validity. If you look around, your colleague might look happy after getting a recent promotion or a friend who bought a car might look extremely happy – but if you try to dig into their lives deeply, probably you’ll find that they are wearing a facade of happiness to cover up things. The former one might be feeling overburdened with the meetings and deadlines, not getting enough sleep at night and suffering from high blood pressure, while the latter has stretched his limits to maintain a status quo in the society. Now, ask yourself – Are you happy? Or are you also running that race towards being successful, rather than being happy? To make things a little simpler, let’s take a look at the following points and understand the difference between ‘being successful’ and ‘being happy’. Success means living a life with plans. Happiness is living a life with passion. You graduated at the age of 21 and bagged a decent job right after college. You are efficient at work and get regular promotions and increments. You’ve traveled to quite a few places – thanks to your workplace, they’ve paid for your flights and stay in return for the business deals that you’ve brought them back. Sadly, you never got time to sit by the Thames when you were in London and you also missed the nightlife in Paris because you had early morning meetings to attend! Your life is driven by plans – there’s always another deadline or another important task that can’t wait! But think – can life wait for you? Perhaps not! Instead of running behind plans, fuel yourself with passion. Take time out for yourself during those office trips and experience the best that the place has to offer. Your productivity will automatically increase, and you’ll have a fresh approach towards everything you tackle. You’ll realize that it’s worth taking the time to get to know yourself and to figure out what you’re actually passionate about. And if you are still stressed with the meetings and the deadlines, then it’s time to rethink about the job you are doing. Probably it’s not something that you are meant to do, and you are into it, just for the sake of the money that’s paid to you! An artist never paints a piece with the aim of selling it for money, he does it for the sake of love. Pause for a while, and think – if they don’t pay you, will you still be equally eager to do this job? Your answer will certainly make things easier for you. Success is working for your own betterment. Happiness is working for others. Successful people often tend to work themselves beyond their physical, mental and emotional limits. They put their health at stake, feeling that they can’t spare time towards eating right, drinking enough water, getting enough exercise and sleeping adequately. The only thing that they are concerned about is staying ahead of everyone else. They try to keep their knowledge to themselves, with the fear that if others come to know of it, they might bag better opportunities. Is the case same for you? Are you scared to share your ideas with your peers, thinking that they might win it over you? Remember that if you are climbing a ladder without anyone’s help, you’ll always have the fear of falling badly and hurting yourself. Instead, if you are climbing with others, you know that there are people to hold you if you fall and that in itself will give you a sense of security. Success is in growing alone, but happiness is in growing with others. In today’s world, when everyone is busy arranging their own lives, why don’t you join that handful of people who are walking on a different track to help the ones who are in need? Instead of buying tickets for a luxury holiday, take a volunteering trip to any of the Third World Countries, spend time in the suburbs of the main cities and use your skills to change a few lives. Help the local communities in living a better life, teach their kids, make the women aware about their physical health and hygiene. It might apparently look like a barely minimum contribution, but the happiness that you’ll experience will be priceless. Success means striving for more. Happiness is being contented with whatever you have. You don’t know what the future holds for you, hence, it’s a foolish act to save for a time that’s unforeseen. The present is when you can live – and most of us ignore the present, this very moment, thinking about what you are going to do in the days ahead! For now, choose to be grateful towards life and appreciate every small aspect of whatever you have. Success is having enough wealth. Happiness is in having healthy relationships. Wealth can’t be your staircase to happiness. Money is important, and having enough of it can make life easier at times. But money is never a guarantee of happiness! If you do a proper research, you’ll find that some of the most miserable people on our planet are also the richest. You might have enough money to get yourself treated if you ever fall sick, but may be, you won’t have anyone to take care of you in the most loving manner or someone to pray for your quick recovery. Spending too much time in the marathon for money may lead to a situation where you will stand alone, without anyone around you! Rather than driving all your focus towards accumulating wealth, start investing in the relationships that actually matter to you. It’ll yield you better benefits of love and shared experiences that money can never buy. Nurture your relationships. Tell your parents that you are indebted to them for making you what you are today. Write small “Thank You” notes to people who have touched your lives in some way or the other. Let the ones who have inspired you, know about your gratitude towards them. Share your closest possessions with the one you love the most. Tell your peers about how their ideas have helped you to shape your own. Be generous and hold nothing back when it comes to sharing your love, patience, and kindness towards others. When you look at other successful people, it might seem that they’ve achieved it easily – but only they know how much they had to go through, to reach those positions. If you look at happy people, they’ll tell you about how easy a task it is – and that you need nothing to actually derive happiness. It is already there – within and around you, you just need to find the ways to it. The only task you have is to find out what makes you happy, and how the path of happiness can lead you towards the goals that you wish to achieve in life. Once you figure that out and start pursuing the purpose for which you’ve been created, you’ll find a kind of satisfaction and contentment that you never imagined was possible. You won’t have to sweat to get the opportunities that you’ve dreamed of. Instead, those opportunities will come knocking at your doors. Start doing what you were created for, and be happy before being successful.